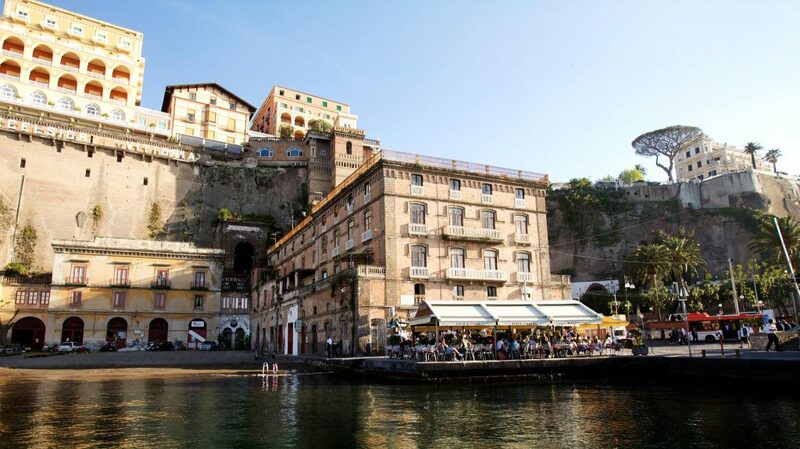 The Ristorante Bar Ruccio is located few metres from the sea and it overlooks the Sorrento’s port, an ancient seaside village, that is one of the most beautiful view of the Sorrento Peninsula. The Ristorante Bar Ruccio is a welcoming, simply and renovated place where all clients can stay on the wonderful terrace overlooking the sea and in a very suggestive atmosphere. Here you can breathe the sea and the menu is always able to satisfy and to spoil even the most demanding guests with the best fresh seafood specialties, Mediterranean dishes and an impeccable service. You can reach us by sea with their boat, stopping at the port of Sorrento and enjoy our specialties, please contact us for information. Ruccio was also a movie set for “Pane, Amore e …” with the famous and unforgettable Sofia Loren. wonderful place to eat drink,staff and owner brilliant! and very kind.cannot recommend this restaurant highly enough! when we were leaving for the airport last Friday I even got a hug and kiss goodbye from the wonderful blonde waitress! not bad for an old boy!! Book your table with a simple click!